Home >> Ring Kits >> 270pc Metric External Retaining Ring Assortment. Made in The USA. 270pc Metric External Retaining Ring Assortment. Made in The USA. 270pc Metric External Retaining Ring Assortment. 18 Diffrent Sizes. Material: Carbon Steel Phosphate. System of Measurement: Metric. Rings meet DIN-471 Standards. Made in The USA! 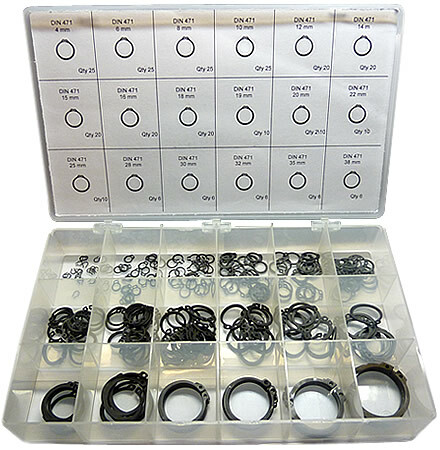 270pc Metric External Retaining Ring Assortment.